Summer is on its' way! For many of you, it's graduation and new beginnings while others are simply packing up for summer break, vacay, maybe some travel, and/or summer jobs...hopefully! However, if you are not headed home; or, you are staying in your off-campus pod or shared apartment, eating will remain something to consider in terms of cost, preparation and taste. The cheapest way to reduce your food bill is to prep in bulk and minimize meats--think Easy Fried Rice, using grains like bulgur or couscous, or using pastas which are cheap, but combine with veggies and proteins for some simple one-dish, nutritious meals for little effort! 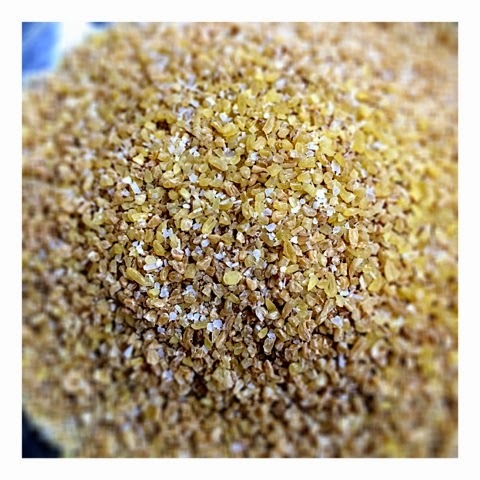 Plus, summer markets will make variety a breeze when using grains because you can have savory or a touch of sweet or both! 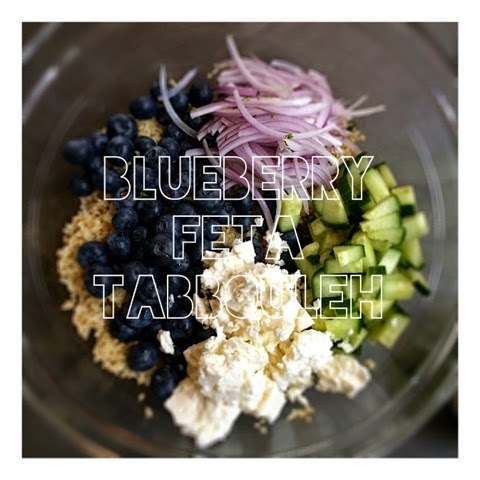 Combinations are endless so that tastebuds don't fatigue on the same thing night after night! Cooking Light has published some great ideas recently with two and three combinations to drool over. 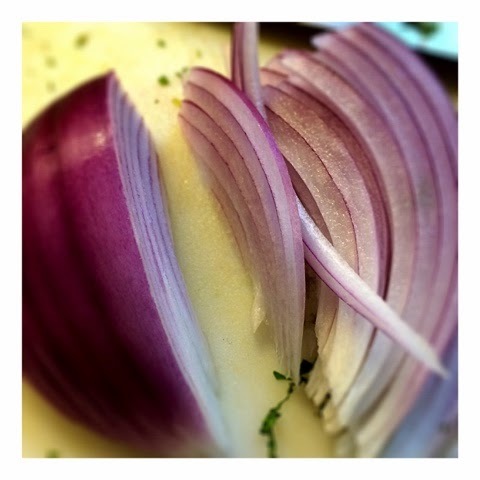 Here is one to satisfy a meal, make as a side dish, or take to a dinner without breaking the bank or your appetite. 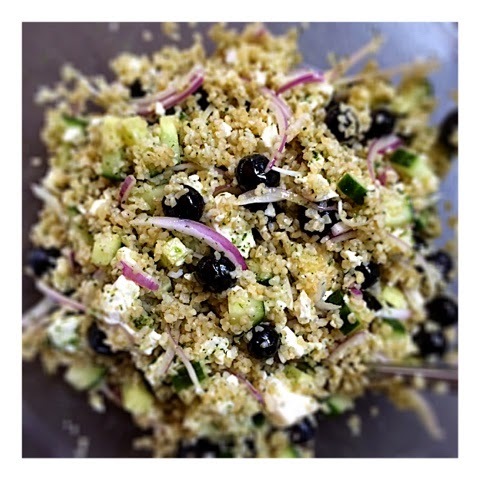 If you already love salads or you are trying to go meatless, this grain will become your best friend! 2. 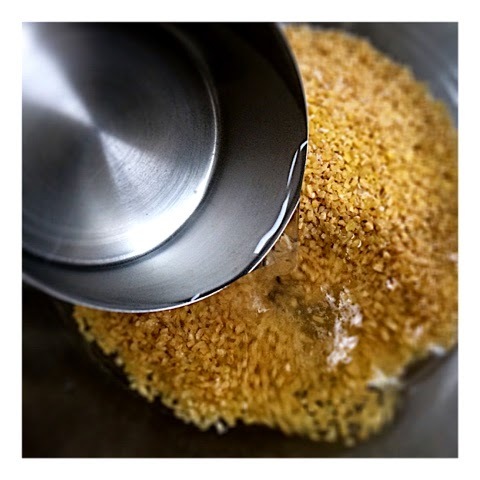 Combine boiling water and cracked bulgur in mixing bowl. Let stand covered x 25 minutes. 3. Place dressing ingredients into blender. 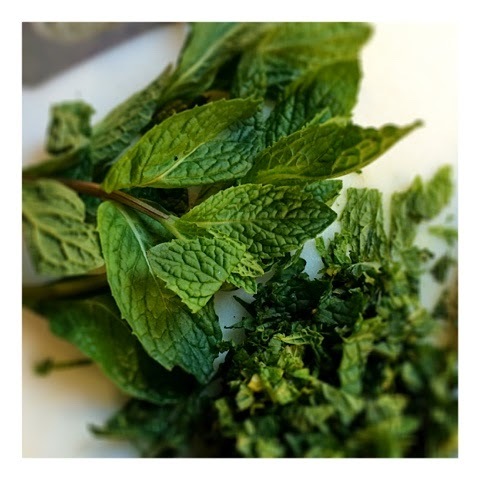 If no blender, chop mint fine. 4. 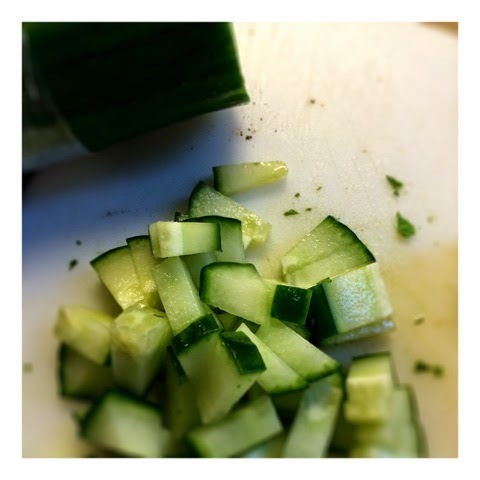 Prep your cucumber and onion. 5. 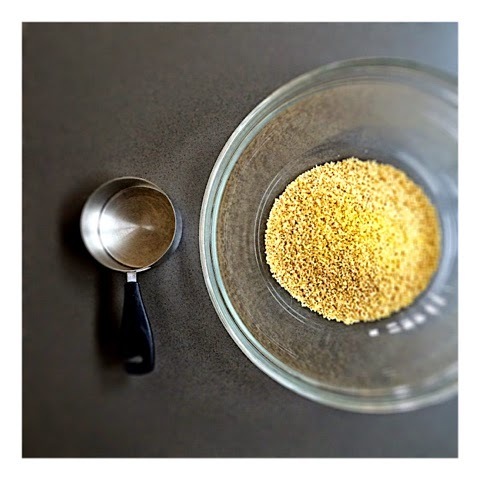 Fluff your bulgur wheat. 6. 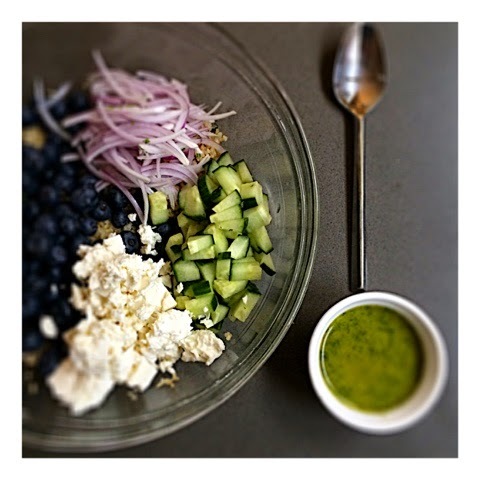 Add blueberries, cucumber, onion, and feta. Toss to combine with dressing. 7. Adjust with lemon juice / salt and pepper to your taste. Add this to any meal, grilled meats, or simply eat as a mid-day snack.